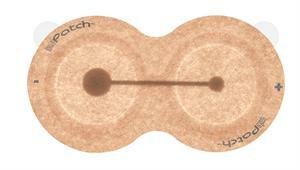 The IontoPatch is an extended time-released electronic transdermal (iontophoretic) drug delivery medical device. An innovative, self-contained battery produces a low-level electric current to carry drug molecules non-invasively across the skin and to underlying tissue. Drug delivery is shut off automatically when the prescribed dose has been administered. 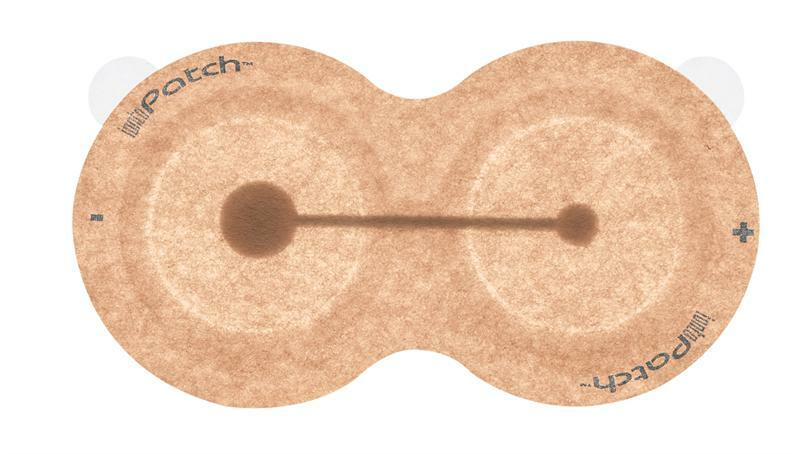 The IontoPatch is single-use and disposable. No charging station or controller is needed. It is wrappable, compressible and weight-bearing. Since there are no external batteries or wires, patients are able to return to their daily activities wearing the patch and receiving time-released iontophoresis. The IontoPatch is eligible for billing under the existing iontophoretic code. It is used primarily by physical therapists, occupational therapists and sports medicine professionals for site-specific therapy to treat a variety of conditions. Please note that medication is not included with Iontopatch. IontoPatchÂ® 80: Designed to treat most anatomical areas, including elbows, knees, wrists, feet and shoulders, among others, in a 14-hour average patient wear time. 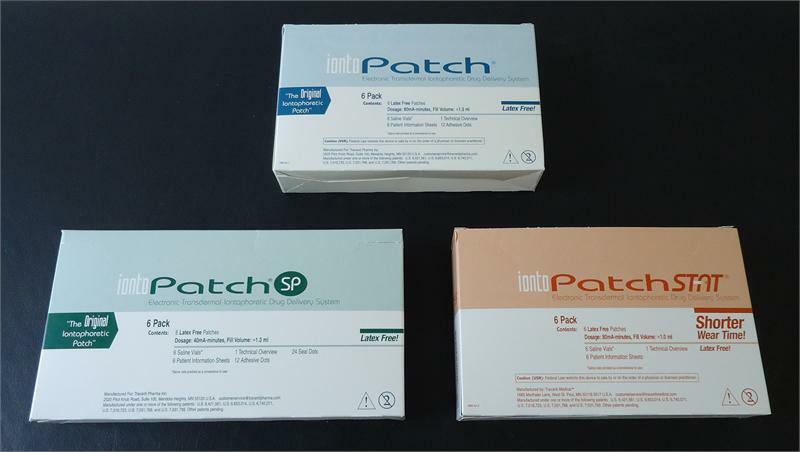 IontoPatch STATÂ® : Designed to treat the same anatomical areas as IontoPatch 80 and offers the same product benefits in a shorter 4-hour average patient wear time. IontoPatchÂ® SP: A "butterfly" style patch designed to treat smaller anatomical areas, including fingers and Achilles tendon in a 14-hour average patient wear time.